Dulcinea in chains is a piece where we hold talks with the classic by Cervantes and the women of nowadays. They are indigenous, single, fugitive, resilient, and have a voice. Teatro del Nuevo Mundo gives voice and body to Dulcinea and her companion, in dramatic paintings that cut short more than 400 years of distance with Quijote and show their problems as current as the moment of the publication of the novel. They sing, weave, order the stones, the wind blows, the earth is great and the war too. The scenery is simple and concise, a few dozens of stones, a backdrop of mountains, a sound of wind. It transports us to the precariousness of those who flee for their lives. Refugees of America are the protagonists. Andean drift of the war and the escalation of armaments that returns more and more calamitous to the invading armies. Why, they ask, if there was a time when there was nothing of yours, neither mine nor the king’s. Dulcinea (Bárbara Santander) takes the floor to speak against arms. We heard the voice that we could never read directly in the novel, where the peasant was mentioned and alluded to in lots of occasions without getting to express herself directly. 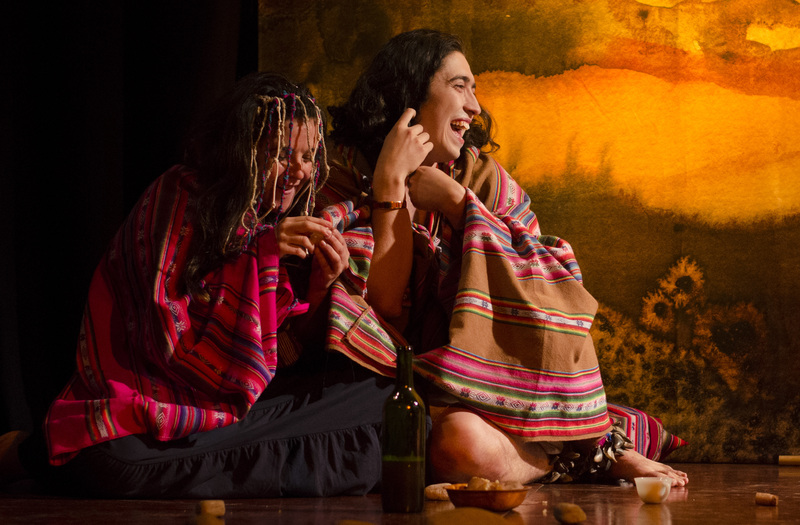 The dramaturgy of Rodrigo Faúndez creates lines that are mixture of original and Cervantes. Then, between pictures, the musical interludes. Senses are glimpsed in the mixture of languages ​​used to sing, but there remains the question of how much the reception of the work could improve if these sung interludes had translation in some projection that allows understanding. In another painting Marcela (Carolina Pinto), the beautiful pastor, makes the claim not to owe love to anyone who loves her because she considers her beautiful, pointing out that it is not her fault that young people like Chrysostom despair before their denials and end up taking their own lives . She was branded as feminazi, men who wanted to repress her, women who wanted to regulate her. In the following picture, Crisóstomo (Diego Varas) dances until exhausted to recreate the suicide of the rejected lover of the novel. In another painting the man is part of the sexual dissidence, rejected by his condition and his hyper sexualized gestures. The characters change, the history of oppression is repeated, it is updated. The demonization of the woman who shows independence is discussed, the ambition that joins the violence is denounced. 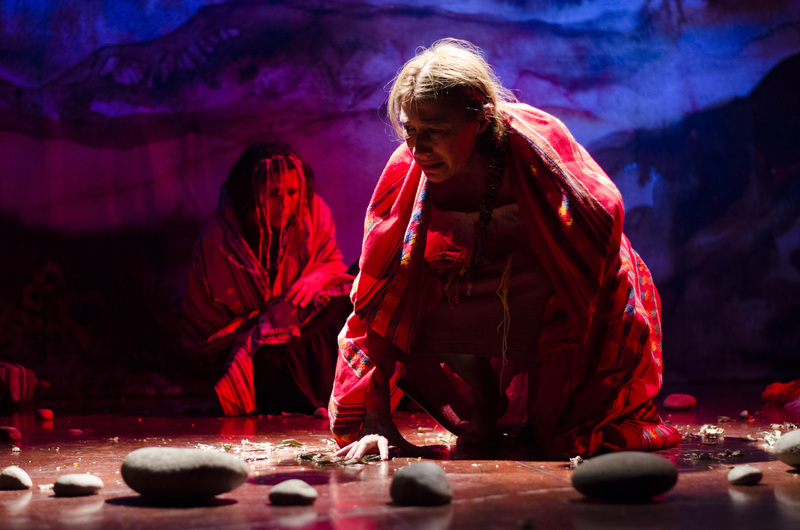 Present and colonial past become one on stage in the 45 minutes of the work. 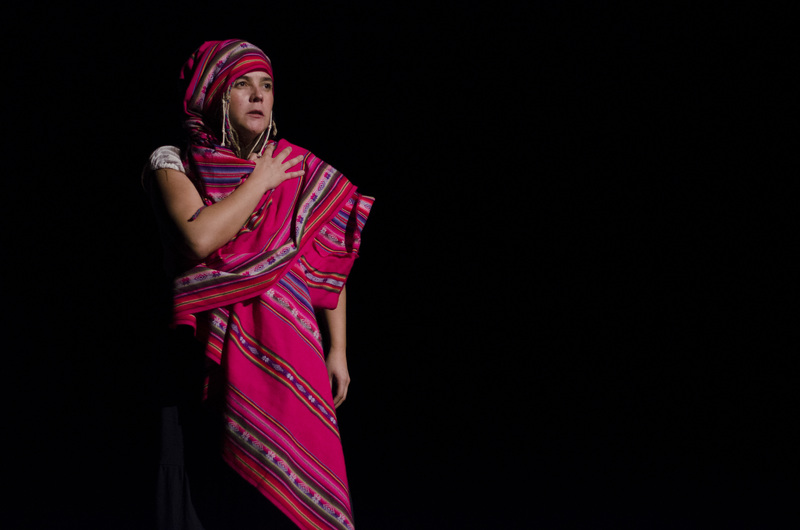 Under the direction of Tania Faúndez, Dulcinea chained finished her second season, this time she performed at the Sergio Aguirre Hall of the Universidad de Chile.